Seismic shifts in the market are challenging the existing leadership norms, business models, technology agendas, and customer engagement strategies that made companies what they are. 2019 represents a year when strategic ambitions will translate to pragmatic, surgical efforts with the aim of putting points on the board. Stakes remain high and the fate of many companies is in the balance as empowered customers vote with affinity and spend. 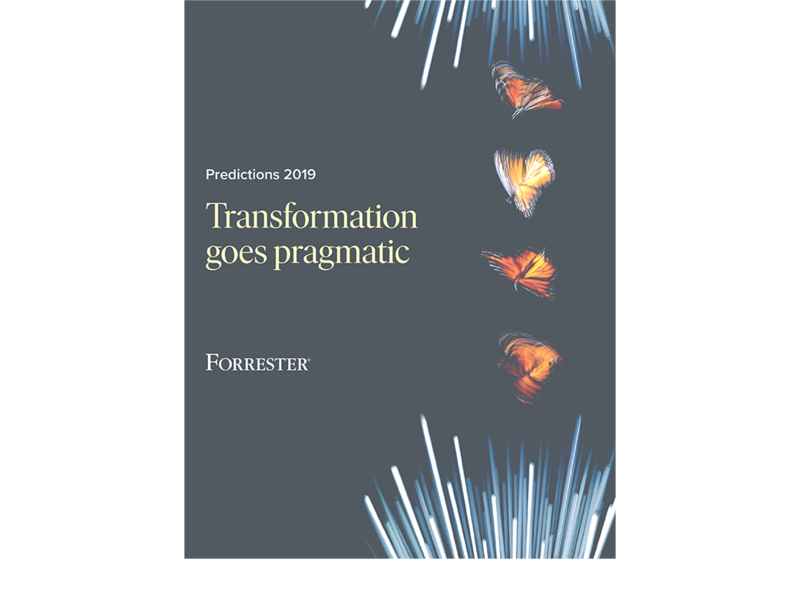 A year of pragmatism is good for traction — if it yields purpose-driven, decisive, and more far-reaching strategies in 2020. Prepare for the 14 major dynamics that will impact your firm in 2019. For more insight into what’s coming next, watch our on-demand 2019 predictions online event hosted by Chief Marketing Officer Victor Milligan and Chief Research Director Carrie Johnson.